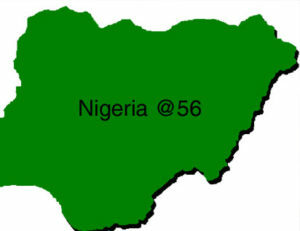 Nigeria is 56 years old today. Consequently it is time to speak some home-truths and look at where we are in the scheme of things. It is time to consider how well our governnent has fared since coming to power and to compare their record of service to previous governments that were in the saddle before them. Sadly the score sheet does not look too good. The rigging of elections, the persecution of opposition figures, the demonisation of dissenters, the destruction of the economy, the pauperisation of our people, the introduction of famine, the humiliation of Nigerians coupled with violence, impunity, aggression, intolerance and tyranny: that is all President Muhammadu Buhari and his government have served our people since he was sworn in on May 29th 2015. The last one year and four months have been the worst since independence in terms of the violation of human rights, civil liberties and court orders by our government. We have witnessed unprecedented mass murder, butchery, carnage and barbarity by well-armed and highly favored Fulani herdsmen and ethnic militias coupled with genocide and unprecedented extra-judicial killings by our military personnel and state security forces. We have witnessed the resurrection of Abubakar Shekau and the mutation of Boko Haram into two powerful new factions. We have seen them re-take towns and communities that they lost years ago and hoist their dirty black flag in parts of the north-east. Our government have given up on the Chibok girls and we witnessed the humiliation, insults and physical harassment by security forces that those who have fought for their return in the BBOG group have been subjected to in the last few months. We have have seen the rapid depreciation of the naira, the total decimation of our industrial, agricultural and manufacturing sector and the destruction and decay of virtually all our roads, airports, power generating facilities and infra-structures. Our government has squandered our foreign reserves. Driven away local and foreign investment. Caused the dollar to fly away. Created an atmosphere of fear and uncertainty in the markets. Forced people to spend their life savings and capital just to survive. Reduced many Nigerians to eating just one meal a day. Caused many to withdraw their children from school simply because they cannot afford to pay fees. And they have driven many to depression, suicide and despair. Unemployment is at a record high. The banks and indeed the entire financial sector is dying because there is no liquidity. The naira is approaching 500 naira to one US dollar which represents an over 100 per cent depreciation in the space of one year. We are in the middle of the worst economic recession that we have suffered in our 56 years of exsitence as an independent nation-state. Thousands are being laid off on a daily basis. Graduate and non-graduate unemployment is at a record high. Food prices, the price of transport and the price of fuel, diesal and kerosene have shot up. Finally we have witnesed the total and complete dashing of the hopes, aspirations and dreams of the Nigerian people. Our government is corrupt, weak, paranoid, incompetent, cowardly, fearful of criticism, terrified of a strong opposition, unable to cope with dissent, insensitive, delusional, wicked, sociopathic and psycopathic. Worse still they have attracted the opprobium, contempt, derision and scorn of the entire international community and the derision of major corporate investors and multi-national corporations. The only thing that they are good at doing is blaming President Jonathan and indeed all past PDP Presidents and governments, including President Obasanjo, for their failures and inability to perform. They are also pretty good at conducting media trials and witchunts and indulging in Soviet-style propaganda and the demonisation of their perceived enemies. Yet most frightening of all is the fact that our President is out of touch with reality. He does not appear to be living in the 21st century. His solutions and remedies to the complex economic problems of a modern-nation state in 2016 are the same ones that he proffered and which failed him woefully when he was military Head of State between 1983 and 1985. We really appear to be going down the drain under his leadership. I pray that God intervenes soon and does something extraordinary because this accursed government simply has to go. They have divided us along religious and ethnic lines more than any government in our entire history. They have come to spread poverty and distribute shame. They have sought to islamise our country, demean our faith, disgrace the Church and undermine our Christian leaders and clerics. They have destabilised our nation and undermined our unity to such an extent that the majority of our people secretly despise and covertly pray against the continuation of a united Nigeria. They have brought us to our very knees, turned us into a nation of beggars and paupers and reduced us to cowardly and timid slaves. They seek to break us, cause us to crawl, crush our spirits, torment our souls and compel us to accept a North Korean-style system of government with its cultic worship of a maximum ruler who sees himself as a demi-god and deity that must be obeyed and worshipped by all. Such is Mr. Presidents desire and craving for worship and such has the spirit if narcissus seized and possessed him that he even had a man arrested, detained and prosecuted for daring to name his dog after him. Yet thankfully they will fail in their quest because the Living God, from whom nothing is hidden, will not allow them to succeed. They will fail because ultimately good will always prevail over evil. They will fail because no matter what they do they cannot separate us from the love of the Lord. They will fail because the God that we serve is mighty and He is faithful to His own. Permit me to digress. I have been reliably informed that my life and liberty has become a major source of irritation and anger for the maximum ruler. I have been told that he hates me so much that he has issued orders that his gestapo should come for me again and this time around to torture me or even poison me whilst I am in their custody. Yet I count it all as joy. I laugh them all to scorn. If only they knew the God that I serve. If only they could comprehend the nature of He who sent me and who works through me. If only they knew the source of their numerous problems and why they are going through all that they are going through. If only they knew why they are groping in hopelessness, dancing with failure and hobbling in the dark. If only they knew that you cannot fight against the Holy Spirit or battle against the Lord. If only they knew the power of God and the efficacy and power of the scripture that says "touch not my annointed and do my prophets no harm". As long as they seek to do nothing but pursue, demean, misrepresent, destroy and kill the defenceless and innocent who have done no wrong, the Angel of the Lord will continue to pursue them along a dark and slippery path. He will frustrate all their efforts, plagues shall torment them, failure shall trail them and peace shall continue to elude them. For the record the bottom line is as follows: yours truly would rather die than be silenced or be compelled to bow down and worship Baal and his accursed disciples. As long as there is breath in me, no matter what, I will exercise my God-given right of expression and I will fight and oppose the evil soul that presides over the affairs of our nation because he has brought nothing but suffering, hardship, pain, shame and tears to our people and to our land. He is the proverbial "darkness that seeks the darkness". Yet, in the end, his own darkness will overwhelm him and the light and power of the Living God will bring him down to his knees and remove him from his exalted and dizzy heights. And if I should fall before that time, posterity will be kind to me and men will know that there once lived a man who spoke the bitter truth about the powers that once were and who saw tomorrow. Yet the beast remains as relentless as ever because, like satan, his time is short. Worse still he has turned on his own. It is no longer Goodluck Jonathan, his wife, his loyalists and leading members of the PDP that are being targetted anymore. Now the erstwhile allies and friends of Baal's tiny cabal within the ruling party itself have also been listed for "special attention" and the torments of the evil eye in the next few months and years even if they don't know it yet. Such is the nature and way of Baal. He simply does not know when to stop. Like Pharaoh his heart has been hardened unto destruction so that, at the end of the day, when nemesis catches up with him, the name of the Lord will be glorified. Like Nebuchadnezzar, he will be brought to his knees and he will crawl like a grass-eating beast in the forest until his eyes are opened and he acknowldges the majesty and awesome power of the Lord God of Hosts and the Ancient of Days.